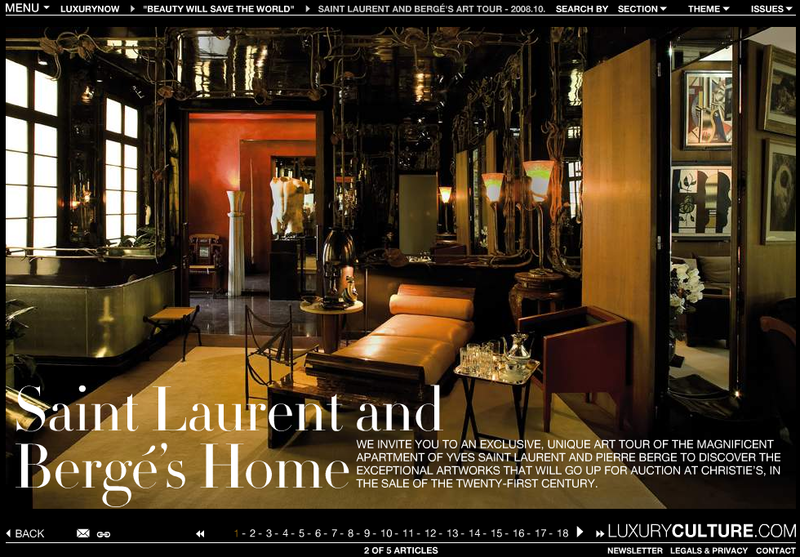 Luxury Culture Dot Com is giving us another peek into chic with an article on the apartment of Yves Saint Laurent and Pierre Bergé, the contents of which will go up for auction through Christie’s. Yes, you’ve seen it before, but as the title of the series asserts “Beauty Will Save Us.” Salvation, at least the electronic edition, is at hand and I am ready to go when I hear that horn. This entry was posted in Elegantology and tagged Luxury Culture, Pierre Bergé, Yves St. Laurent. Bookmark the permalink.